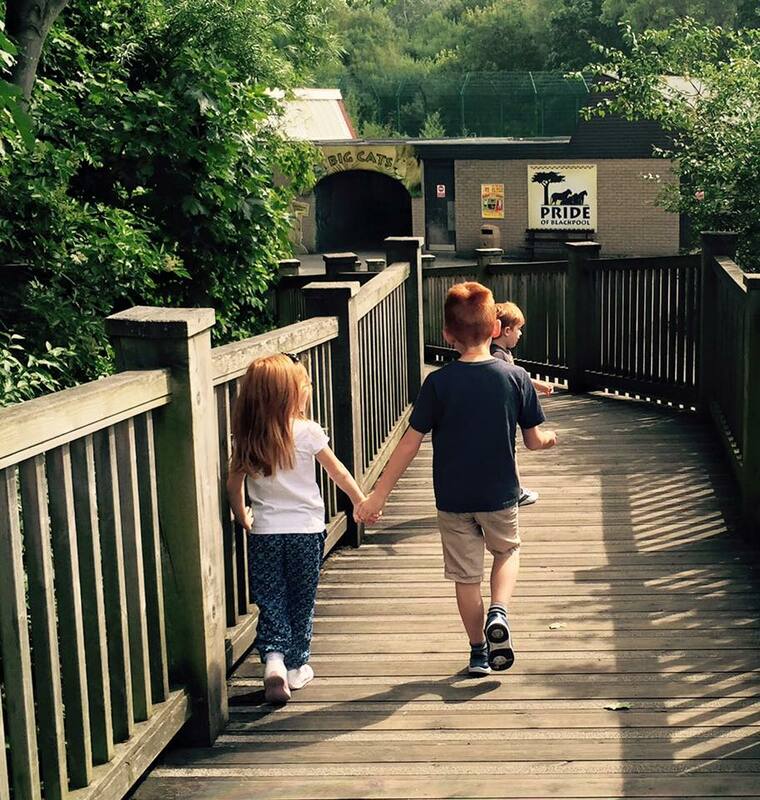 The Giraffe viewing platform inspired this EXTREMELY RARE moment of sibling affection! The Big Cats area is fabulous we loved watching the lions, tigers and cubs. 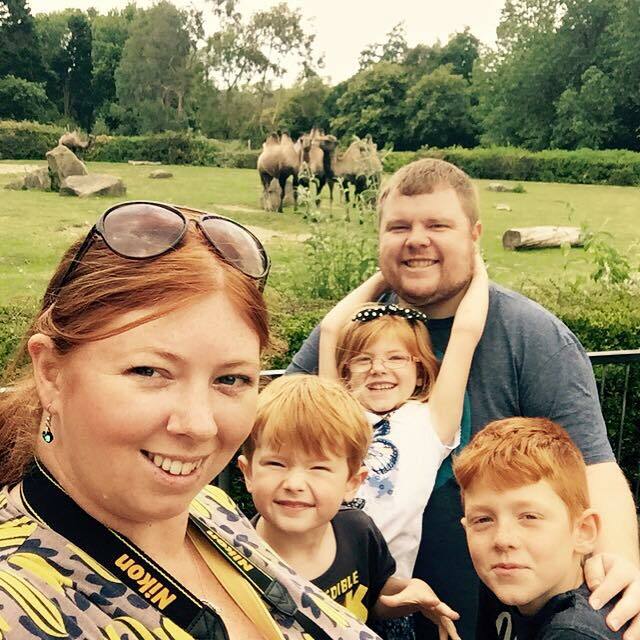 We loved watching the Orang-utan and wondered if he was trying to use the straw as a wig? The kids thought it was hilarious watching him pick his nose. We could have watched the Gorilla's all day - stunning! There were two little babies rolling around and playing together too. 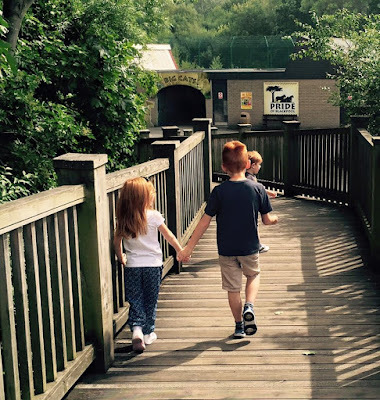 Our children loved the dinosaur walk through adventure towards the entrance of the Zoo. Loved the sign saying you had to exit via the gift shop! We couldn't resist buying this puppet (£7.99). Blackpool Zoo was very family friendly - there were lots of picnic areas, play parks and even a mini children's farm where you pretend to milk a cow and hold some bunnies. There was also a 'walk through' Amazon rainforest and as mentioned earlier, a different animal talk or flying display every 20 minutes or so. All in all a very good value family day out that is educational too. Awww man, THAT GORILLA!! I know what you mean when you say you can sit there and watch it all day. Because that is what I would have done, if I have the time that is. It looks so majestic! And once you mention that the zoo is flat, I give it a thumbs up. 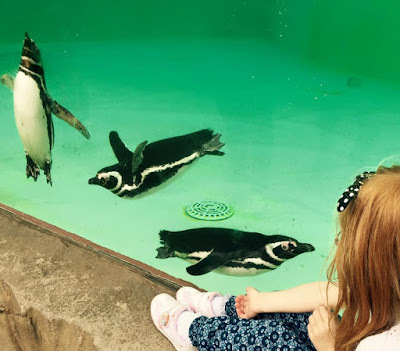 While I love my local zoo, it is just too tiring to bring the kids there often. We have to go uphill, downhill, uphill, downhill and I'm too tired by the time I reach an attraction to admire the animals frankly.